Grooming is necessary in order to keep the hair and skin in good health. The behavior trait for grooming is called epimeletic and is stronger in some individuals than in others. In cats the instinct to groom ones self is generally very strong, however, in dogs this may not be the case. When self-grooming becomes excessive the result can be a denuding of the hairs and eventually the developing of a callus on the skin. When self-grooming is weak the hairs often become matted and dull looking. Pets can also engage in “allogrooming” behaviors whereby one pet cleans or washes another. Hair normally grows in a mosaic pattern allowing for some hairs to die while at the same time others are in a growth phase. Some breeds have both an outer layer or guard hairs that are thick and colorful while the inner layer hairs or undercoat are softer and lighter in color. It is the undercoat that is shed most noticeably in the spring of the year. Shedding, however, does occur throughout the year for all pets. There are many conditions that can influence the hair growth cycle of the pet. 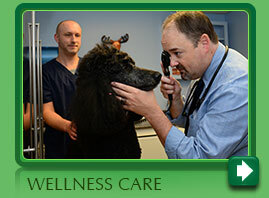 The diagnosis of a skin or hair coat abnormality starts with a history taking and a physical exam. Questions to assess if the condition is seasonal in nature, pruritic (itchy) or not, and if the hair loss is located bilaterally and symmetrically are all-important clues to solve the mystery and make a diagnosis. Often tests such as skin scrapings, bacterial and fungal cultures and even pinch biopsies are taken to confirm or rule out possible causes of disease. In certain cases the cause may be psychological in nature. Using a topical flea and tick control medication is always a good idea. Maintaining the skin and hair coat in good condition is the best defense against disease. Combing and/or brushing the fur to remove dead hair and skin will establish a healthy environment for normal hair growth. Plucking the hairs in the ears for example will allow air to circulate within the canal thus allowing for evaporation of any moisture. Moisture left in the ear canal as well as on the skin encourages bacteria to grow resulting in an infection. Keeping the hair short between the toes and around the mouth will also guard against infection. Bathing is recommended to remove dead skin cells and to keep the hair follicles open. When the hair follicles become plugged with dirt and oils the hair is often lost due to secondary infection. 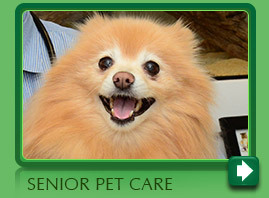 Professional groomers as well as veterinarians can advise you on the frequency and the best shampoo to use for your pet.